Cypress canker disease threatens cypress trees around the world. The disease causes many of the branches to die and can kill the tree. There currently is no labeled chemical treatment for the disease. And no industry standard for completely curing or preventing the disease. This disease requires more ideas and research to find a cure. Let’s examine this disease and find a solution by changing the pathogenic agent, environment, or host. Lepteutypa cupressi also known as Seiridium cupressi (formerly Coryneum cupressi). It is an Ascomycota, meaning sac fungus. These fungi produce sacs for their spores instead of producing mushrooms. Dutch Elm disease is also caused by an Ascomycota. For treatment trees are quick injected or IV with propiconazole, fungicide. This fungicide may be effective against Lepteutypa cupressi as well. Benzimidazole is a fungicide that is effective at treating fungi in cypress and canker diseases. The problem with this fungicide is that it is banned in the EU (Della Rocca, Di Lonardo, Danti. 2011). The pathogen is active following rainy periods. This is likely a critical point for germination. 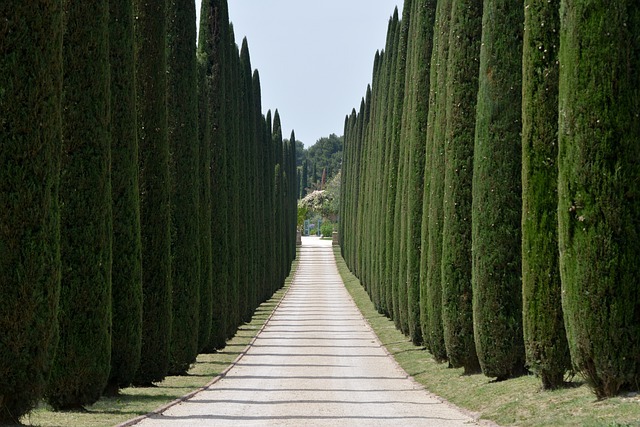 A simple solution would be to plant cypress trees in drier locations to prevent the fungi from spreading. Cypress trees are already planted in wet and coastal areas. What about these trees? Another way to prevent the fungi would be to cover the wounds on the branches. Tress and wounds could be covered with plaster or a coating to prevent the fungi from getting to the tree. This may be an option in professional landscapes. The problem is that it would require labor. Could we have nature do it for us? Lichen is a symbiotic relationship between algae and Ascomycota, the same type of fungi the pathogen is. We could encourage lichen to grow on the wounded or damaged parts of trees to cover up the wound and prevent the pathogen from entering. Are there other organisms that could help us? There have been a number of studies to look into vectors. Beetles, seed bugs, and moths have been examined and suggested. Whether these insects are vectors or secondary invaders requires more research. Either way, they could be used to spread a pathogen to the pathogenic fungi. A mycoparasite, a fungus that infects other fungi are spread by insects. These insects could be used to help control the disease. As with many fungi pathogens, pruning can be an effective method at slowing or preventing the disease from spreading. When pruning makes sure you wash your tools before using them again to prevent infection. Removed branches should be burned properly disposed. On top of pruning watering when a drought and providing proper soil nutrition can also greatly reduce the spread of cypress canker (University of California Extension). One research team (Raio, Puopolo, et. al. 2011) found that a bacteria inhibits the growth of the fungus. The bacteria produces phenazine-1-carboxyilic acid and 2-hydroxyphenazine which was shown to inhibit fungus growth in a petri dish and in trees. Some trees are less susceptible than others. The Agriculture Department State of Victoria has a list of less susceptible species. These species could be hybridized to make a resistant cultivar. Cypress canker disease is an important plant disease because it is wiping out cypress trees and has no established cure. In the future we may use a fungicide, plaster to coat the tree, bacteria to inhibit the fungus, or have a resistant cultivar. Until then we will continue to think about and test for a cure. G. Della Rocca, V. Di Lonardo, R. Danti. 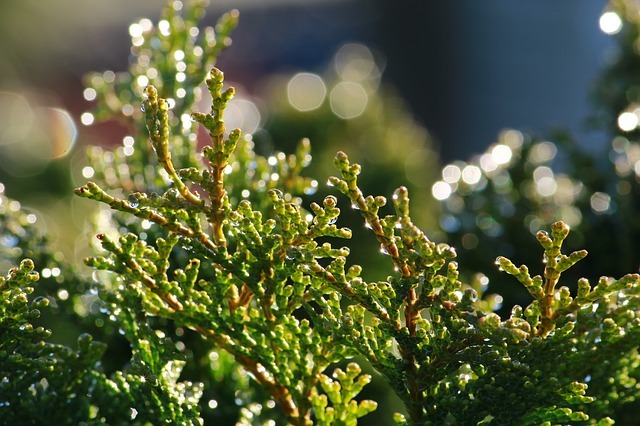 Newly-assessed fungicides for the control of cypress canker caused by Seiridium cardinale. Phytopathol. Mediterr. (2011) 50, 66−74. A. Raio, G. Puopolo, A. Cimmino, R. Danti, G. Della Rocca, A. Evidente, Biocontrol of cypress canker by the phenazine producer Pseudomonas chlororaphis subsp. aureofaciens strain M71, In Biological Control, Volume 58, Issue 2, 2011, Pages 133-138, ISSN 1049-9644, https://doi.org/10.1016/j.biocontrol.2011.04.012. The Agriculture Department State of Victoria. Page updated May 8th, 2017. Accessed December 3rd, 2017.